That conversation inspired me to sit down and write this post. Since ticket pricing is a complicated and arcane subject, I want to take some time to explain why your airline ticket costs so goddamn much, as well as share a few tips on how to still get cheap airfare. Ticket prices are high today for a number of reasons. For starters, the industry has consolidated a lot over the last few years. Less competition means less need for cheaper prices. Thanks to bankruptcies and mergers, there are now only four major airlines in the United States (soon to be three when American merges with US Airways). In Canada, there are two. In Europe, KLM and Air France are now one company, and Lufthansa has its hands in many smaller airlines. (While budget airlines keep prices cheap within Europe, once you leave the continent, those 10 euro prices disappear!) As airlines have partnered up, merged, or gone bankrupt, the incentive to create low fares to win your business has mostly disappeared. Secondly, the price of airline fuel has increased tremendously. Back in 1996, airline fuel cost 55 cents per gallon. Now, it’s $2.97 per gallon. Airlines can’t absorb all of that increase, so they pass some of that on to the consumer, leading to higher fares. That’s a hell of a lot of fees! And it’s not just the United States. Ever fly into London? Half the ticket price is made up of fees and taxes! Moreover, following 9/11 and the recession, demand fell, and to compensate, airlines reduced both the number of routes they offered and the frequency of their flights. They did this to save money and fly fuller planes. Fuller planes mean more passenger revenue and fewer costs for the airline. It’s why if you live far from a major city, you’ve seen fares go up and the number of flights go down. Planes fly close to full now, and airlines are quite happy about that. With fewer planes, less competition, and higher capacity, airlines can charge a lot more for tickets. There’s nothing to stop them, and they don’t need to lower prices. United CEO Jeff Smisek said that only now are airfares priced appropriately. When you have a CEO say something like that, it means prices aren’t going down anymore — only up. Prices go up and down for many reasons. No one can really predict when or if a price will change. Only the airline knows that. But there are four things that drive prices: competition, supply, demand, and oil prices. The first and last items are the ones that really affect prices the most. 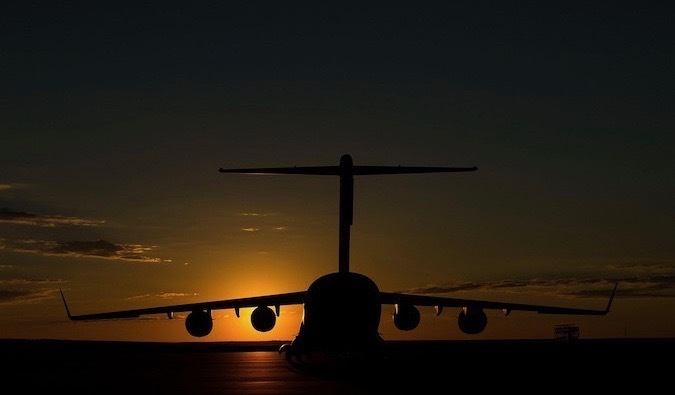 Together, those four things all affect a lovely thing called the load factor. Airlines want to fill their planes and maximize profits, and they do this by calculating a plane’s load factor. Essentially, this is the percentage of seats sold on a flight. They want this number to be as high as possible. Airlines tend to manage their load factor by constantly changing the price of tickets to fill the plane and get maximum revenue. On a US domestic flight, there might be 10–15 different price points, according to Rick Seaney. If the load factor is low and demand is low, an airline will increase the availability of cheap fares. If the load factor is high and demand is high, the airline will raise prices. In the airline industry, there are two types of passengers: business travelers and leisure passengers. Business travelers are flexible on price (the boss is paying) but not on dates. Leisure travelers aren’t flexible on price (the cheaper, the better) but are on dates. Airlines are constantly trying to strike a balance between these two types so they can make a profit. Why fly a plane full of cheap fares when you can get people to pay more? Airlines know that a certain number of people will book far in advance if they can find a decent price. Airlines also know that they need to hold a certain number of seats for business travelers who will book last-minute and pay more. Ticket prices jump up and down based on the demand for seats from these two types of passengers. How Do You Get Cheap Fares? To avoid being the person who paid the most for their ticket, you need to be flexible. As I said, airlines are constantly changing prices and trying to balance leisure and business travelers; they’ll do their best to avoid having customers pay the lowest price point. “About three months before, airlines start to manage those bottom price points,” Rick says. That means airlines begin to look at historical trends and current seat sales to figure out whether they will release those really rock-bottom fares or keep prices high. If you’re booking inside a month, you’re playing into the airline’s hand. As Rick pointed out to me, most tickets are sold within 30 days of departure. Booking that late is a bad idea. At that point, airlines know they have you. When your dates are no longer flexible, you’ll pay whatever they charge. While there are many other tricks to reduce the cost of your ticket, the main two are flexibility and flying when demand is low. That means flying mid-week, taking early-morning or late-night flights, and avoiding flying on Monday, Friday, or Sunday. The days of cheap airfares are long over. They aren’t coming back, and the prices you see now are the new normal for airline tickets. They are simply going to cost a lot more, especially if you don’t find the sweet spot when prices are their lowest. But by understanding how tickets are priced, you can avoid being the person who paid the most. Taxes are awful, and I’ve started adjusting where I go based on airport taxes. Take the Caribbean: taxes to Puerto Rico are $5 but over $100 for the Dominican Republic. Same beaches, same ocean. (The DR is cheaper overall, so it might make sense to get that pricier ticket if for a longer trip). I have the most success with fares when I book as early as possible. My plans are often really inflexible because of my work schedule, so I need to leave at specific times. When I book really early, I’m more likely to cheaper seats at the exact time I need to leave. Yes, I miss out on last minute fare sales, but the fare sales often don’t work with my schedule anyway. Thanks for pulling all this together Matt and explaining it. Those free credit card frequent flyer miles you talk about in your book are even more valuable to help offset higher fares. Your advice helped when I received a 35,000 signup bonus in the mail and decided to act on it. Thanks Matt! Thanks for this really in-depth, informative post, Matt; I really learned a lot about how tickets are priced (and got a little depressed that they’re going to stay at high prices). 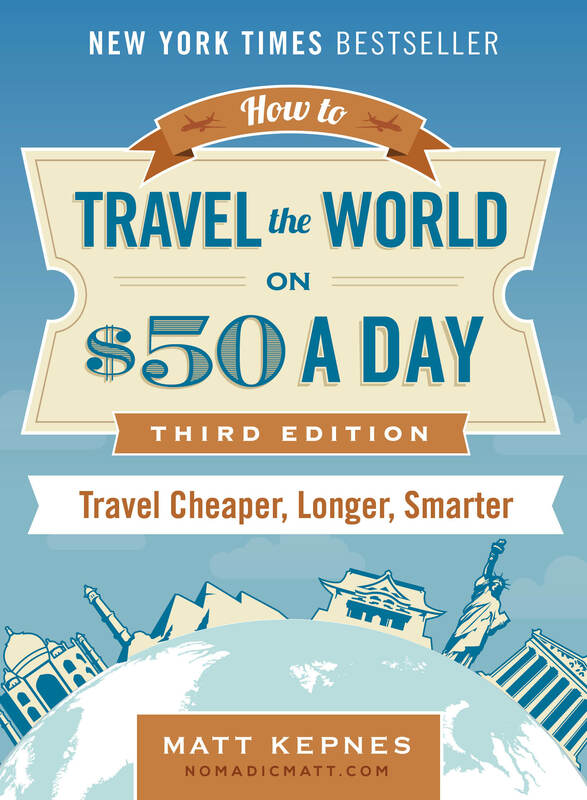 Guess it’s time for me to start researching travel hacking haha! I remember when I was able to fly RT to Buenos Aires for a mere $600 back in 2008. Today, I only see offers for double that price (or higher!). We can pretend to “beat the system” and be smarter than airlines, but reality is that the joke is on us this time around. Still, pretty informative article. Great information, Matt. I was surprised when 60% of the cost of my flight to Croatia last month was taxes. Maybe that cost will go down once there are direct flights from USA to Croatia (one less European airport the airlines have to pay). This was an interesting read and a good thing to keep in mind while buying tickets and trying to not get frustrated over prices. I know in my brain that fuel and taxes cause the prices to go higher, but then I remember when I was 19(*only* 13 years ago), I flew to London(from Chicago) for $200. Sure it was in January, but it was $200! When I was in college in the early ’00s I would see STA advertising $200 NYC-London flights every winter. When I was studying abroad, I walked into an STA office in Germany around Thanksgiving and bought a round trip ticket home over Christmas for about $350. Round trip! I don’t recall the routing being particularly inconvenient either. Airlines do go bankrupt because previously the airline industry wasn’t a big profit industry. USAir used to keep meticulous track of money so they’d know if they’re going into a chapter 7 or 11 bankruptcy soon. Now the airlines have stability. And the money to create the safest most reliable planes. But they still have to compete with Spirit and the like, who really don’t care what your flying experience is like. Also American makes over 60% of their profit on the 13% of business travelers. That’s where there making revenue, it’s not coming from the economy tickets. It just costs a lot to be a semi comfortable safe stable reliable airline. That is SO informative, and makes me want to rack my brain even more in order to save as much as possible on airfare. In Canada, in addition to having very little competition, taxes are also very, very high, which constantly makes the ticket even MORE expensive than it already is. I know! Every time I try to book a flight in Canada, I’m shocked at high how it is….and there are never any sales! Thanks for the awesome tips!! Here’s hoping that I can find much better prices the next time I jet off to somewhere! Getting anywhere from Canada is so so so expensive. I mean flying within Canada itself is a killer sometimes. Flying within Canada is so expensive because we have a sparse population and large geographical distances to cover. I don’t mind prices going up so much — that makes sense unless some amazing new technology comes along that drives down the cost. However, I’ve been really disappointed in the lowered quality of the travel experience in the past 10-15 years. Unless you can afford business/first class (which is usually at least twice the price of a regular seat), economy has become too… blah. I like that some airlines are offering an Economy Plus or Premium Economy area with more legroom and a few other bonus features (yet is still fairly affordable), but they’re mostly limited to transoceanic flights. Now, you pay a lot more for less! But people shop on price so airlines get away with it. Good article! However, prices haven’t fluctuated that much for flights to/from Africa. In 2006, I paid almost 1600 to/from ABQ to JNB. Now, that flight can be had for 1300 RT via the middle east or ~1600 through about any major carrier….and, even better, Delta flies direct to JNB from ATL now! That flight consistently is around 1300-1400. I think a bigger concern overall is airlplane technology advancement. Thankfully, we still have a duopoly between Boeing and Airbus, however if one of them were to go under, we’d be in major trouble. Fuel prices would rise while technology stays stagnant. I personally believe that although prices may slightly increase, airlines will have to improve dramatically. 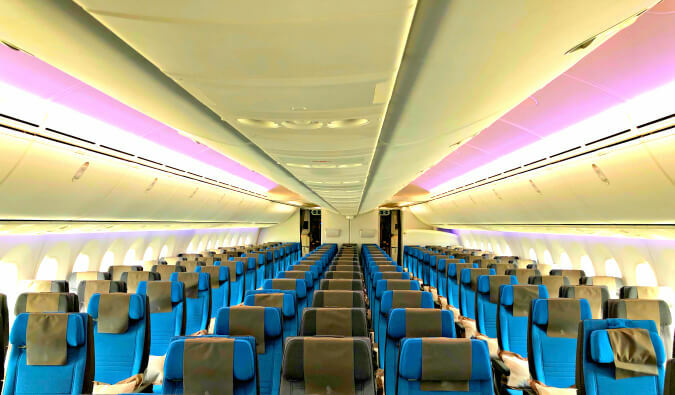 Take a look at the new Boeing Dreamliner…electrostatic window tinting, cabin pressure at half the simulated altitude as modern planes, and many other things to write home about! Just another reason to have a flexible schedule and be location independent – and, of course, while travel hacking as much as possible 🙂 . There are ways to get around high airfares, it just takes a lot of planning and a bit of luck. Thanks for the well-written article, Matt. Always enjoy your writing – straight shooting from the hip. In the “old” days a direct flight (note: ‘direct’ doesn’t mean the plane doesn’t stop along the way, just means you don’t have to change planes when it does) was less expensive but now I find non-stop flights (my preference) are often the less expensive option. I’ve also seen that one-way tickets purchased to get me there and back are $50-$150 less (total) than a round trip… again, opposite of the “old” days. Recently used the one-way approach to purchase flights in/out of EWR and saved $97.00 over the round-trip ticket cost. This is actually what I studied in college as an aerospace engineer, and like you suggested, gas is the #1 thing that has gone up. Half the weight and half the price of the tickets (depending on distance) are based on gas prices. BTW did you know that multiple leg trips (with layovers) are cheaper because you are basically carrying less weight, thus its cheaper to operate! Boeing has thought about scrapping long distance airplanes altogether and just making multiple fuel stops. True but multiple stops means more taxes due to all the landing fees. Makes me feel unease and slightly depressed. I got a flight 2 years ago from Sydney, Australia to Vancouver for just over $900. Probably, no certainly the cheapest flight I would ever pay for. I only fly those cheap dreaded late nights or early mornings with the longer lay overs, but if you see the positives, its all worth it. You can save a lot! and you have time in the airports to catch up on something you have been needing to do, for me it’s usually work (if you blog/work online). I still fantasize about the time I found a flight in the summer time to Costa Rica from Los Angeles for $199 ($99 before fees!) at the height of the recession. It was to Liberia too, not seedy San Jose! Those days are Long gone. Looooong gone. Really? On what airline? I’d like to see proof of that. That would be a mistake fare where the computer messed up like when United had $10 dollar redemptions to Singapore. An interesting post, I’ve been travelling since 2008 with my first trip being London to Sydney one way and found it quite cheap at the time. Now I’m on my third trip abroad and (ironically) looking for a cheap flight from Sydney to London. It seems breaking it up is going to be cheaper but my eyes usually widen whenever I see how much is just based on taxes! Flying out of the UK is the worst in regards to taxes. Well explained for those not use to dealing with fares. What I find also quite interesting (from the travel agent point of view) is that airlines do not give us commisions anymore (0%) of the ticket, but we are still the ones to blame for the increase of the price. Funny, they keep the amount they use to pay us and on top of that, charge the client a fee for issuing their own tickets. The richest getting richer! I’ve also noticed this increase of prices recently although as you said, prices are still very competitive in Europe. On the other hand, prices tend to decrease in South America. They used to be ridicously expensive in the past but if you look inside Brazil, you can get for example a ticket Florianopolis-Rio for 60 bucks which is a great improvement. Unfortunately those prices can be found only for connections between the biggest cities. It still costs a lot to do Buenos Aires – Ushuaïa for example. I’ve been told that you want to book flights on Tuesdays (as in go online and check the prices then, I don’t mean fly in and out on Tuesdays necessarily) because that’s when the airlines typically put out their best deals, has anyone else heard anything similar? Wow. An incredibly researched article. Interesting to hear about this from a US perspective… In Australia it can easily cost $2000 and up to get anywhere and it was much the same in the early `00s. The only respite was during the financial crisis `08 `09 `10 where a ticket to the US could be found for not much more than $1000.. but as you say the industry is now consolidating and the fares are going back up. Honestly a $750 ticket to Europe sounds like absolute heaven to me!! Ah to live closer to the rest of the world! The major change that I have noticed is the number of people on flights. In 2002 I’d regularly get three seats to myself for that $2000, nowdays it’s a middle seat with screaming kids all around me! Great post! Unfortunately, I am now priced out of even flying domestically. It is really depressing when you love travel as much as I do. Rail isn’t much less expensive, and even it was, I would have to drive two hours to the nearest station and pay to park my car -or pay extra to take the bus. True that air tickets have gone up considerably but if you start your search months in advanced then you are likely to find something at a good price. Still more expensive than they used to be but that’s to be expected. Also, buying tickets is not a one day task, I’ve spent weeks looking for tickets with the right price finally showing up as I stumbled onto a time where the fares dropped for some reason. Hmm, so how do you see airfares panning out over the next 10-20 years? Are there any credible forecasts on this? I’ve read that world oil production will be at *half* by 2030. Presumably that means jet fuel becomes many times more expensive… does that mean a return airfare to, say, Asia will be $5-10k (in todays terms)? If airlines are struggling to break even now, is airtravel soon going to slip out of reach of the middle classes? Fares are just going to go up in both real terms and inflation terms. Flights wont slip out of reach too much since airlines will still need those travelers to help make them profitable. Interesting article. But simply put Airlines are gouging travelers. There is no regulation on baggage fees either so expect soon to pay $100 / bag. Airlines are using technology to their advantage. That is what has changed significantly. They exactly know the demand for seats with a single click of their mouse and are artificially pricing the fares high. Statistically they know how many people will travel regardless. None of this was possible few years ago. All planes are 100% full these days. There is not much competition either. They all work together in unison. They are controlling the supply of seats! If you want to take a local flight say SF to Las Vegas in the coming weekend it is around $500 at normal hours. God forbid, if you happen to have family emergency and have to fly internationally in a day or two expect to pay several thousand dollars. One of my recent acquaintance had to pay over $4K for economy. Fares, fees taxes etc all have gone up and customer service has gone down the toilet. I keep seeing comments on the cost of travel between places that are very far away from each other and/or international. But I am amazed at how expensive it is to travel from just one state to another that is relatively nearby, when the distance is just too much for a drive. I, like many others, have very limited free time, so to make the most out of a three day trip, do I want to spend 8 hours or more of it driving? NO way. I live in the Gulf Coast near Mobile, AL, and a flight to Atlanta, Ga was costing me around 500 bucks round trip, and it was not a direct flight. And we still didn’t get there until like 4 hours after arriving at the airport. One state over. Ridiculous. There’s got to be a happy middle ground somewhere in our transportation system. 1. Never buy the airline ticket for holiday season… extremely high. 3. The best time to search the ticket is midnight. I often find cheap tickets at this time. 4. For low season try to look for 2 to 3 days before departure, there is often a price promo which released. I am no economist nor business person… but I wonder if there isn’t a point (or, a line) at/below which the cost of owning a fleet is too high per plane. Some complex set of variables including number of routes, number of flights, cost of the plane, cost of the maintenance, lifespan of the plane… availability of enough planes and crews at enough locations to cover all planned (and paid for) flights. For most of aviation history, prices were extremely high. The reason prices were high was because they government regulated them, and at the regulated prices the airlines were guaranteed profits. Because the airlines didn’t compete on price (they all charged the same regulated prices, even if you bought last minute), they competed on service. Elegant dinners, cocktails, and friendly service were to be expected. The current state of affairs, where airlines compete aggressively on ticket price, began when prices were deregulated in 1978. Of course there was still a culture of high service in place, and the ability to cut prices was hampered by the generous contracts negotiated by airline unions when prices were still regulated and profits guaranteed. It really took the advent of budget airlines, who had neither a legacy of generous contracts nor a service-oriented culture/reputation to shake off, to effectively offer low fares while avoiding high customer expectations in terms of service levels. Legacy airlines simply can’t do this, in part because they need to offer higher levels of service in order to create loyalty and protect their business class clientele. 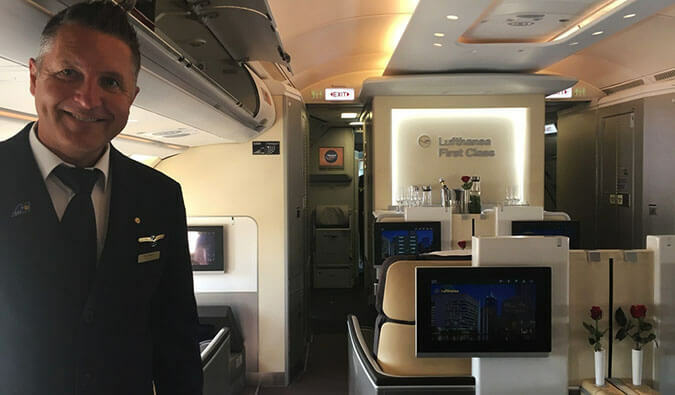 The need to offer a high-end experience is essentially why many legacy airlines have attempted to compete with low cost airlines by launching their own low-cost divisions. It’s pretty clear that this is extremely difficult to balance these two roles effectively, given the non-profitability of virtually all legacy airlines over the last decade as well as the numerous bankruptcies. I mean, can we really sit here and pretend that airlines are reaping huge profits at the expense of consumers when they’re dropping like flies? To read many of the comments, it’s clear that consumers want everything: we want the service of the regulated era, the ticket prices of the budget era, and none of the ancillary charges (i.e., baggage fees, etc) of the current era. Airlines aren’t really profitable. Any airline that offered all of these things would be out of business pretty quickly. Get used to paying more if you want good service. Get used to paying more if you want to eat, drink, or pack a bag. Complain all you want, but the reality is that you’ll take the lower price all the time, despite how you feel about their service and/or service charges. And if you really think you’re getting royally gouged by the airlines, I suggest you buy some shares in the worst offenders, so you can share in their profits. Another reason why “last minute sales” are a myth is because many airlines make sure to have many different plane sizes, so they can be flexible. For example, if it’s a month before a particular flight and they’ve sold less than 50% of the seats, they will just swap out the flight’s usual plane for a smaller aircraft. This isn’t as common with domestic routes, where one plane can have several scheduled flights per day and thus isn’t as flexible, but it happens a lot with long-haul flights. You’ll notice it when you buy your ticket extra early – often the airline won’t let you select seats in advance, because they’re not sure what size aircraft they’ll be using until about a month before the flight. As a middle class family of four, we have been completely priced out of flying. What happens when airlines lose a whole class of millions of people? Are there enough wealthy people to keep planes in the air? We can’t really travel anyplace that requires flying and that is depressing. I have wanted to take my kids to Hawaii, but t$4000 plus for the four of us to just get there is crazy expensive. We can’t even fly across the country to see family. We moved from Cali to Atlanta 7 years ago, thinking we could fly back every year. We did it the first year, but have been priced out the last six. When we moved we decided to move close to a huge airport hub to make travel easier and cheaper. Not sure what the “new” normal looks like, but life isn’t nearly as fun and adventurous as it used to be for this upper middle class family! I agree with this blog.If airlines are going to continue to raise their prices year after year less people will be traveling especially during the vacation time.Since this is when airlines raise their prices drastically. Do you have an example? There could be a lot of reasons. I’d have to see the tax break down. I have to agree about almost everything you said, especially airline consolidation. I’ve been trying to find a one-way ticket from Montreal to the UK and it’s impossible. As a real example, one-way with KLM is $1800 but if I set an arbitrary return date, it’s $700. I asked them why that is and they said it’s ‘to encourage people to fly back with the same company’ but in doing so, they punish customers who only need to fly one-way. If they can offer a $700 return flight, they can offer a $350 one-way flight (which is what they were doing up to about 2 years ago). It’s particularly annoying considering I’ve been a frequent flier with KLM for more than six years, some of those as a silver card member. Doing a Google Flight search showed that all the airlines had similar prices and I can only assume that they’re fixing prices between them because there is no reason for a one-way flight to cost so much. I really hope someone busts up their little racket they’ve got going and teaches them a lesson! You are right about “Heck, you can sometimes fly to Asia for the price it costs to fly to London!”. Everytime I plan a Europe summer vacation, I end up going to India for $200 more with a stop-over in Europe. I went to Japan (Newark to Narita) this year for about $1,200 round trip. Obviously that is not cheap but when I compare flights to London & Paris and they are the same price, there is something wrong here. Yup! Europe flights are way overpriced when compared with flights to Asia or even Africa. Why is a round trip United flight from Boston through Newark to Sao Paulo much less expensive than Newark to Sao Paulo (without Boston)? The Boston trip takes the very same Newark to Sao Paulo flight! So why is it is cheaper rather than more expensive? This is bizarre. It’s a big price difference. Airline pricing is a mystery. There’s something that always puzzles me, it’s the price difference between originating your flight from the US, compared to originating from Europe. For example, take a flight from SFO to CFG, anytime in the summer. It’s going to be 60% on average more expensive than the same flight, same dates, same airline, but in the other direction (CDG to SFO). I just don’t get why. If I’m flying on the same dates, why would I pay almost double than someone from Europe? I’ve decided that if I have to travel to somewhere locally I’ll take the car, period. Quite often I found out it’s cheaper (or same price) to drive to the state I need to go to, than to fly there. One or two adult tickets would actually pay for the needed gas to go where I need to go and I can also take my children with me at no extra charge. I personally don’t mind driving and I get to see nature. It’s a longer drive yes, but we don’t care. Why would I want to expose my family to the abuses of TSA, super uncomfortable cramped seats, terrible service from employes who don’t want to work there, and then experience the incompetence of brand new pilots who are not taught how to properly fly an aircraft when computers fail! No way! I can get a lot better service driving in our comfy Merc Marauder and enjoy the seas of traffic part ways. Of course this how I like to do things. I’m not saying you should do it, you may not be able to afford the time etc. However for those of us who can, we do ask the airlines the following question: give us a very good reason why we should choose your service over our own? Right now we don’t see any reason why we should fly with any of them, at least locally. Some years back a newspaper had cost of airfares compared to wages. It was cheaper then ever to fly and the aircraft didn’t take a day to go from Vancouver to say Toronto. That also was before free bees, air miles whatever. I would say not much has changed except even with today’s prices for an airline ticket. Look at the wages many are making. If they can afford the high priced homes, the cost of heat and light, telephone and internet may as well say everyday living. Air travel is still the best bang for the buck and not a priority. It’s a real shame that they cut the amount of routes offered and hiked the prices up because people like me (lower/middle class) are traveling way less for leisure. The bigger the gap gets between upper and middle/ lower class, the harder it is for the everyday American to travel. Less travel means less vacations, means a more stressed population, not to mention ignorant to what the rest of the world or even the rest of the country is really like. And then consider what it does to the economy in regards to tourism. The higher prices go up, the more isolated I feel in my part of the country. And for business travel, the more technology that becomes available for webinars and group discussion face to face over your computer screen, the less business travel there is going to be. I think the airlines need to rethink their strategy. Good article. It’s also worth pointing out that cost of living rises every year so ticket prices will too. For instance. $1000 in today’s dollars was about $790 ten years ago. To the notion of round-trip tickets to Europe for $500…I remember those, but it was in the late 1980s. $500 in 1988 is about $985 in today’s dollars. The airlines have a monopoly that is untouchable. You cannot just expand airports, so essentially, you can’t add any new airlines. The only innovations over the next 15 years will be extracting MORE money out of consumers.. not bettering the experience and certainly not delivering a better value. It’s similar to the sweet deal that telcom companies had for a while – except in this case, the airlines business model is much more secure. As a business traveler, I’m often stuck paying $800+ for last minute round trip fares that also force me to sit in middle seats. Pay the most, get the worst experience…. it’s OK though. We offset the high fares that airlines hold us hostage for by charging our clients more. You are paying for astronomical airfares everyday whether you know it or not…. Given how cheap gas is now, and has been for a couple of months now, I can’t understand why flights are still so expensive. I was looking at a flight to Europe from the states and it’s over $1800 RT. That’s insane! I need to book a flight in July…any thoughts on waiting a while to see if the price will come down? While fuel is one very big part of the total cost-side picture for carriers, it’s not the only one either..
Competition is another HUGE one as well.. But back to fuel.. for most carriers, unlike you and I who buy our gas (for cars) at the then-market price, many carriers ‘hedge’ that being they pay a third-party a premium for the “right” to be able to buy X amount of fuel at Y price… So, by doing so, they’ve locked in one of their largest cost elements. The problem is IF furl drops, they’re still on the hook to buy that fuel at their previously agreed upon price… So, there’s a negative savings if you will. Naturally IF it rises in the future, those that hedged are golden and will be saving. So, that’s the fuel side.. But.. also working against you for lower prices are 3 other things..
Competiton.. There’s simply fewer overall airlines running today (within the US) and fewer actual seats today… the other part of that is coming out of the GFC which most people say started in 2008 or so, there’s a fair bit of pent up demand for travel.. So, carriers are in a very good place… lower fuel, or if under hedge, the ability to buy hedges for later delivery at lower prices, combined with fewer competitors and more people wanting to travel. Add it all up and the results are that carriers are in the driers seat and are able to exert more pricing power than they historically have been able to do so.. to be plain, there’s no NEED for them to drop fares because of lower fuel…. demand is strong an capacity is tight. The best way to avoid these high costs is to combine flying and with other modes of transportation. It could save money, but it can get pretty complicated. There are some sites out there that do the planning for you like TravelWits.